A fun shoot-em-up that thrives with its charming samples and a fairly robust DIY creation system. It’s rare to see titles that implement a do-it-yourself creation tool, much less one that revolves around shoot-em-ups. 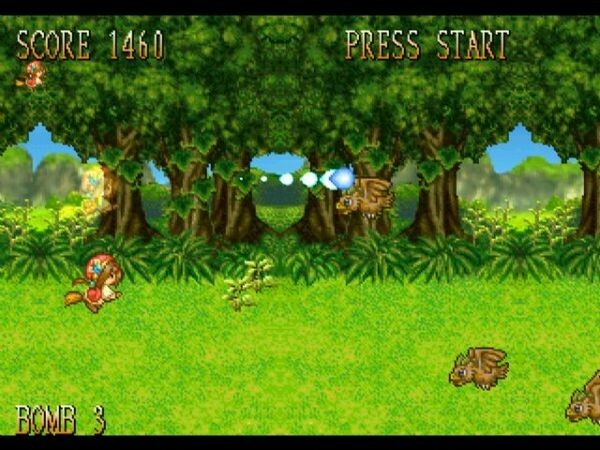 This alone gives gamers the opportunity to add their unique spin on these types of games, whether it’s bullet hell or if you just want to straight up make Super Mario Land: The Shooter. It’s what makes DIY games like Athena’s Dezaemon Kids! intriguing. Watching others generate some pretty insane ideas and putting them to creative use is, I think, a wonderful thing, and I’d love to see more games that give you this opportunity. Dezaemon Kids! contains a fairly extensive tutorial that explains everything you need to know about creating your own shooters. The game’s tutorial seems helpful in teaching you the basics of its game creating system, providing you with diagrams and steps to each feature (a jaunty, green rabbit walks you through the entire session. Or at least, I think it’s a rabbit. Hell, I don’t know). As it is a Japanese Import title, Dezaemon Kids! contains the original Japanese text. So if you’re someone who barely understands the language (as yours truly), you may struggle quite a bit. Still, that doesn’t mean you’ll be completely lost in the creation features. The game lets you test each option, and you’ll eventually figure out which one does what. Language barriers aside, Dezaemon Kids! features a fairly robust creation system that takes a while to get used to. You can draw your own shooter character with the game’s tools or combine a bunch of pixels together from the game’s premade set. You can choose which power-ups to implement in your game, what type of offensive firepower your character has (machine gun or burst shots, etc. ), and even set enemy AI behavior, strength and attack patterns. What’s more interesting is you can design your own bosses for each stage (depending on how many stages you plan on adding in your game). There is also a variety of backgrounds and game music to choose from, and the game lets you test every single feature before actually moving on to the final product. Want to make a shooter and have a giant mechanical ape as a boss? Go right on ahead. If implementing your own unique twist in a shooter isn’t exactly your thing, Dezaemon Kids! has a number of sample shooters each with their own bizarre settings and brands of enemies for you to enjoy. One of will have you playing as a mahou shoujo (magical girl) who rides on a broomstick shooting down Pokémon-like animals in a forest, while another has you playing a bug who shoots down evil, flying sunny side up eggs and hamburgers. 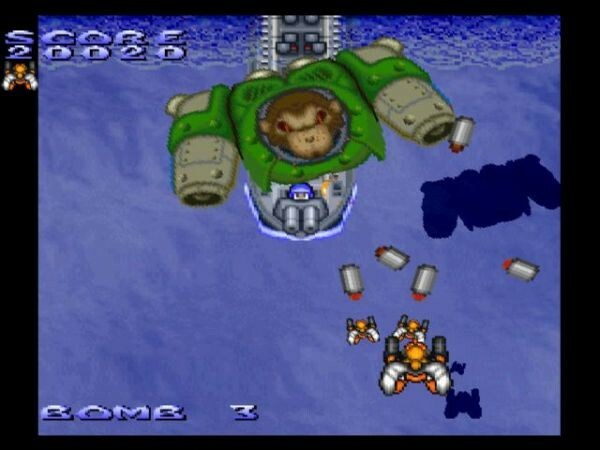 Like any standard shoot-em-up, you’re given a set of extra lives, bombs to defeat overwhelming waves on screen, and reaching a particular score grants you another extra life. You can collect power ups that give you an extra edge by increasing the number of shots or an AI ally fighting alongside you for more firepower. These sample games aren’t the hardest, though they demand you to memorize enemy patterns if you want to keep progressing. It gets a bit easier to handle these games with that in mind, though it’s still frustrating when you constantly run out of lives and would have to start over at the very beginning. It’s also a shame there’s not much variety in these games other than changes in scenery. However, there’s still fun to be had in these shooters, and it gets more hectic when playing with a friend. Overall, it’s nice to check these samples out and get a taste of what you can potentially create. 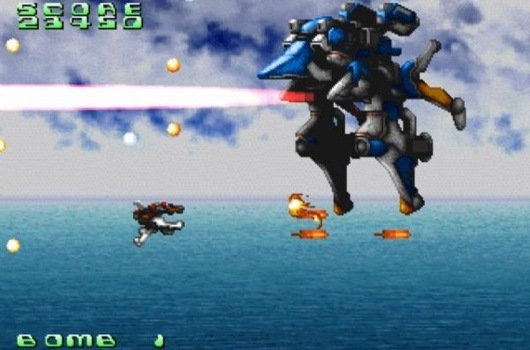 Or if you just want to play some old-school shoot-em-ups, that’s fine too. Creating your own shmups is fun, but so is playing them. Dezaemon Kids! is a fun shoot-em-up that charms with its DIY-style of gameplay. Those who just want to shoot multiple enemies and rack up high scores will find some fun with the game’s hefty set of fairly enjoyable samples, and it’s enough to keep you satisfied. On the other hand, if you have a knack for creating some really interesting game ideas--or if you just want to make bullet hell, Dezaemon Kids! is the game for you.